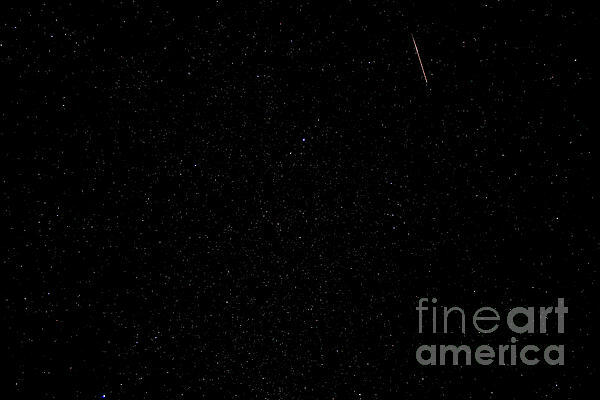 Wow.....is that a shooting star? FEATURED ARTIST Artist News 08/19/2013 FEATURED ARTIST All Seasons....08/14/2013 Make a wish upon a star....or a meteor during the annual Perseid meteor shower. This image was captured during the weekend of August 10-12, 2013. This is the usual time period of the Perseid event. The Perseids are a prolific meteor shower associated with the comet Swift-Tuttle. The Perseids are so-called because the point from which they appear to come, called the radiant, lies in the constellation Perseus. The name derives in part from the word Perseides, a term found in Greek mythology referring to the sons of Perseus. Fine art Nature, Wildlife and Landscape photography prints, posters, canvas prints, greeting cards and stock images by Bob Hislop ￿ All rights reserved 970-623-5525. WATERMARKS WILL NOT APPEAR ON PURCHASED IMAGES. Guided custom photography tours available for the adventurous and discerning clients.